Add a splash of chrome to dress-up your engine compartment without breaking the bank. 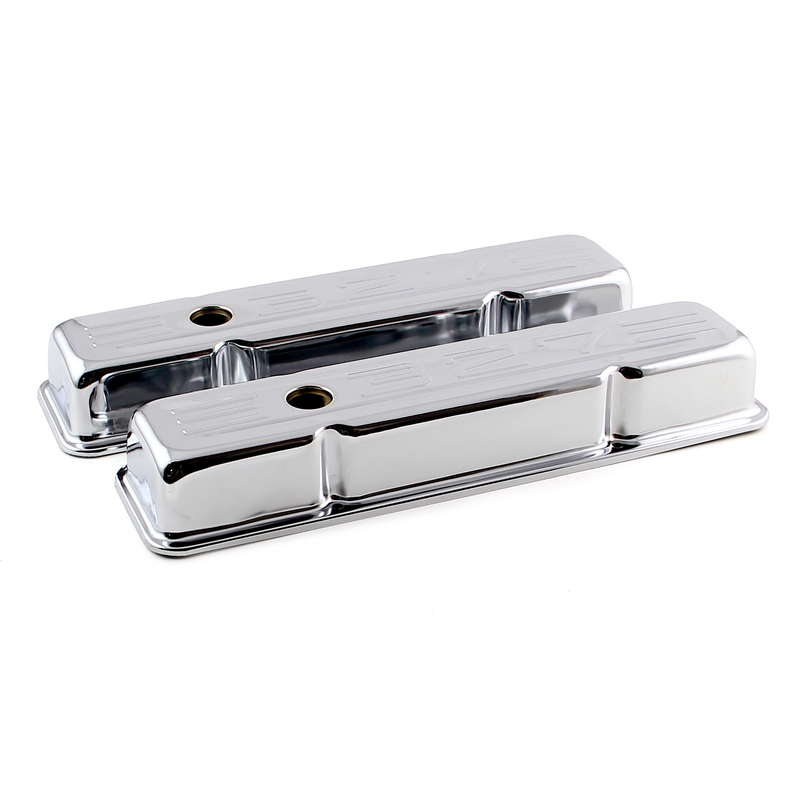 These Procomp Electronics chrome valve covers are made from durable, chrome plated steel, making them an affordable and easy way to brighten up your engine. They're available in tall and short designs, plain or with logos, and in OEM replacement styles for a variety of different choices.